I’m back rather early now with the next review in my Fluid Label Focus series on the Crónica label. This time I have for you an early release back from 2004 in the Product series on the label, titled Product 02 by Ran Slavin. This album in the format I’m reviewing features the 15 tracks (of which track 10 is a seperating silent track [Product Silence] on CD as well as an 8 page booklet featuring photography and artwork as well as two texts detailing the Product series concept, the sonic inspiration put into the music on this album by Ran Slavin and an appreciation by label owner Miguel Carvalhais. On the back of the jewelcase you can find the tracklist and album credits. As described in the booklet the Product series’ concept is to take the “split” format of the vinyl LP format (two sides featuring the music of a full album) and translate this to the digital format by splitting up the tracklist of the CD into two “sides” (or mini compilations as its called in the text) which both form two seperate pieces of the album. The goal is that these two piece also work together to form one “Product” rather than a collection of seperate pieces forming the album. In the case of Ran Slavin’s Product release the two parts forming the album are titled Tropical Agent and Ears in Water. Tropical Agent starts with track 1 Dirty Needles. Dirty Needles features a glitchy sound in which various music samples, vinyl crackle and bit-crushed down pitched mechanical sounds are blended together to create an abstract kind of soundscape or ambience. Indeed Ran Slavin’s music on this album is the kind of music that is more like fading in and out of various sonic situations and environments rather than tracks featuring clear melodic patterns or progression. 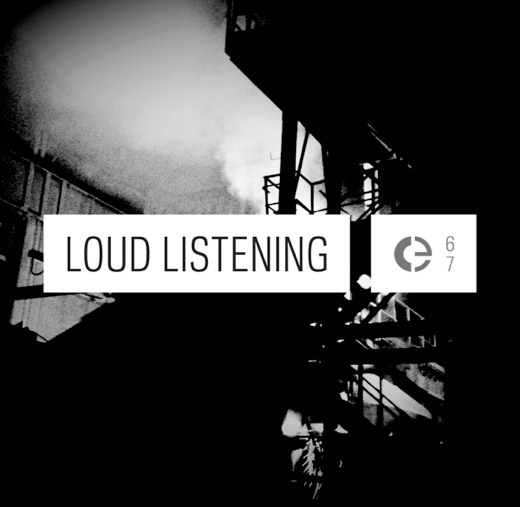 The lo-fi mechanical clanging sounds are the main focus in here for me , as the music samples and vinyl crackle scatter around in abstract manner, the Industrial clanging seems to be a clearer focus point than the melodic bits. A great track to start with, plenty of classic Glitch goodness in here. If You Should is a more subtle, mellow and quiet piece, featuring what sounds like a Middle Eastern string instrument, violin samples and filtered piano samples. Combined with the vinyl crackles and low mechanical sounds the music feels like the ambience of a quiet workshop of handcrafted products late at night as the owner and few employees continue carefully working on their handcrafted objects. Search For Compassion continues the vinyl / Glitch themed sonic signature but with a more drone based ambience. After several choppy vinyl sample manipulations at the start the piece moves forward as a contuous mellow fragmented drone that near the end gets accompanied by high pitched synth notes chiming into the fuzzy cloud of sound. Nice deepness in this one. U Think U Know Who U Are uses a resonator effect to create strong metallic droning percussive sounds. Pretty sharp sounds they are and the piece is a bit more simple in texture than the tracks before but it’s still got a pleasant feeling to it and the reverberated ambience at the end gives a nice conclusion to this track. Silent Siren however is a better track, the looping harp samples and shifting low pitched sounds add a kind of mystery in the music that feels pretty cinematic, like people waiting in the living room of their house for something special to happen. Indeed Ran Slavin is in fact an artists in various media, film, video art as well as experimental music, so it’s no wonder that his work carry abstracted imaginary storylines within them. The violin melody in the second half of the track is a great juxtaposition with the other sounds in the track that blends sonic images together like overlaying one scene with another on that’s half-dissolved. On Guitar String/Empty Streets aleatoric randomized guitar sample melodies float through an ambience of (indeed) streets in field recordings, the guitar string sounds are emphasized quite a lot which adds these mechanic sounds to the mixture. Mysterious eerie droning tones add a strange kind of “foreboding feeling” in an otherwise quite abstract sounding melodic ambience piece, sounds good. Triggers of Violence is one of the louder pieces on the album and features spiky sounding chopped up glitchy guitars and droning resonances in more recognizably melodic patterns (albeit still in one key only). It’s one of the more active pieces on the album, freely scattering glitches, recording noise and other artifact sounds around to create a mechanic structure of metallic sound, very nice. Desert Rain sounds quite like its title describes, it’s got “rainlike” vinyl crackle loops, that are quite rhythmic as well, sounding almost like percussion. Soft continous droning instrument samples (including guitar) are placed in a pretty deep big space, ghostly washes of sound float through the ambience too and the track has a nice hypnotic Middle Eastern vibe to it. Flat Tire at the Dead Sea features more kinetic glitching guitar patterns as well as quite a lot of cool stuttery sonic manipulations with all sample chops tumbling through the stereo sound field into wide delays as well. A fun piece of abstract music that also features some chops of what sounds like percussion too. Afterwards we have 30 seconds of [Product Silence] and we move to the second half of this Product album Ears in Water. The first track of which is Vista Plain, which is more intense than the tracks before, a wash of fuzzy hissy droning sound and vinyl crackles as well as guitar samples. The drone has rhythmic mechanic looping sound to it and there’s a lot of variation in the filtering as well as additional guitar samples in the piece which introduces the rather different sound of the Ears in Water part. Vista Plain is calm in its drone structure but sonically rather progressive with all the manipulation going on. Girl in Water features chopped and glitched vocals by Lin Chalozin Dovrat and sounds a bit more technical in its atmosphere, more futuristic with the choppy short glitch sequences, rather abstract tone sequences and granual style intense sound stretching. Great sound manipulations in here, nice piece. On Untitled #1 you can hear what sounds like little bass as well as a resonating sound, like coming from the inside of an electronic appliance as well as samples from a man’s voice. Strange but intriguing sonic experience this is, sounds very alien. Untitled #2 has a more synthetic sounds to it with more synths and technical glitches in it. Starting with quickly chopped samples, high synth effects, reversed bells and more elements situated mostly in the high end of the frequency spectrum the piece slowly moves into an organ like drone and synth percussion gets added as well. This second half becomes quite purely electronic, a nice piece with a different sonic siganture we have here. Great vibe. Final track Piano moves back a bit to the sound of earlier tracks, a fuzzy vinyl sound is within the piano samples though the whole is chopped up in a melodic progression in faster tempo than before. Quite an upbeat and pleasant short atmospheric ending piece to this album. Manchmal entstehen umfangreiche Arbeiten aus kleinen Impulsen. Für Diana Combo, die Frau hinter dem Soundprojekt Síria und außerdem Sängerin, beginnt ihr Tape „Cuspo“ mit einem Auftrag. 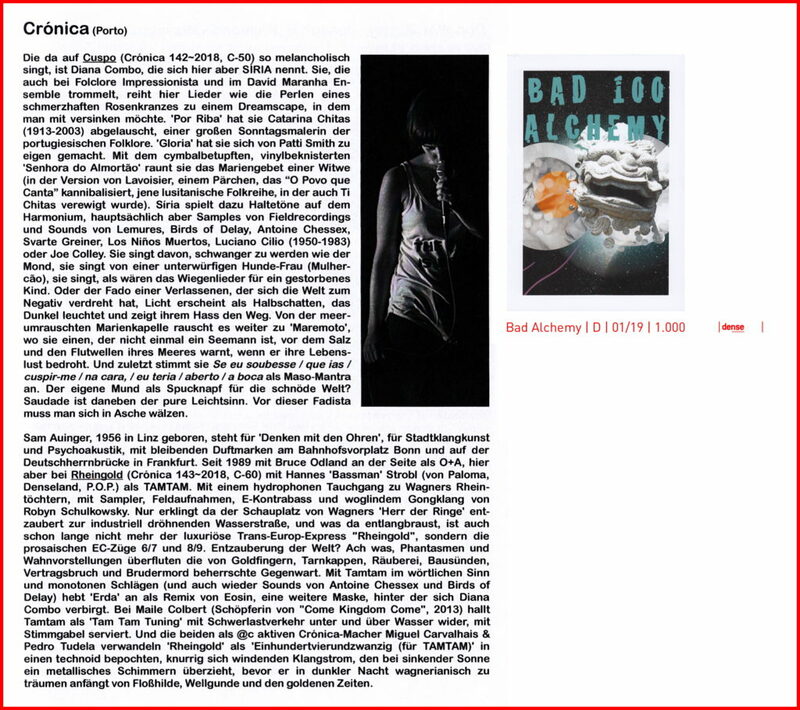 Ein Autor hatte sie gebeten, Patti Smiths „Gloria“ und einen eigenen Song für eine Theaterproduktion einzusingen. Während ihrer Suche nach passenden Stimmungen, Melodien und Texten entstand recht schnell ein ganzer Songzyklus, und als sie später vom Lissaboner Crónica-Label zu einem Auftritt eingeladen wurde, stand längst fest, dass das Material reif für ein Album war. Vielleicht war es die Verwunderung darüber, wie selbstläuferhaft das ungeplante Werk zustandekam, die die Musikerin dazu bewog, eine ganze Reihe an Arbeiten z.T. befreundeter Kollegen (u.a. Svarte Greiner, Lemures und Antoine Chessex) zu sampeln und so noch ein paar Schichten mehr draufzusetzen – am gelegentlichen Knistern erkennt man noch die Herkunft vieler Spuren vom Vinyl. Wie zu erwarten steht Combos Stimme bei den meisten Stücken im Vordergrund und kommt in unterschiedlicher Form zum Einsatz: als mal kräftiger, mal anheimelnd schöner Folkgesang ohne die sirenenhafte Süßlichkeit mancher Kolleginnen, als beinahe gehauchtes Echo eines entrückten, ambienten Dreampop, als Spoken Words in großen Lettern und mit Ausnahme des Patti Smith-Covers immer in ihrer portugiesischen Muttersprache. Die ihren Gesang untermalende, einhüllende und in wenigen Momenten in sich auflösende Musik ist trotz subtiler Spannungsmomente meist sanft, lässt Raum und kommt weitaus weniger opulent daher als man es bei einem so großen Aufgebot an Musikern erwarten könnte. Vinylknistern und die wohligen Wellen eines Harmoniums schaffen ein gemächlich gleitendes Fundament, rauschende Becken und plötzlich auftretende Gitarrenfiguren stören die Ruhe immer wieder auf, aus unterschiedlichen Quellen summt und dröhnt es, und ab und an geben eingearbeitete Aufnahmen des Meeres, der Straße und zirpender Grillen dem melancholischen Setting zusätzliches Kolorit. Es wäre falsch, die Momente, in denen solche Sounds in den Vordergrund treten, als Interludien abzutun, denn in ihnen offenbart sich die feinsinnige Kompositionsstruktur der Musik noch am ehesten. I’m onto the second review on Fluid Sonic Fluctuations of 2019 already and I’m also introducing a new easier way of finding reviews of specific fields of music or labels on my blog by labelling all reviews with a specific “series” This review falls under the Fluid Label Focus series, which is focused on an independent / underground music label that I find particularly interesting and over the months features a selection of releases from its discography both new and old. Aiming to showcase record labels also as archives of sonic art and inviting listeners to rediscover old releases as well. Today however I’m focusing the series (which is still focused on CRÓNICA) on the newest release on this Portuguese label. 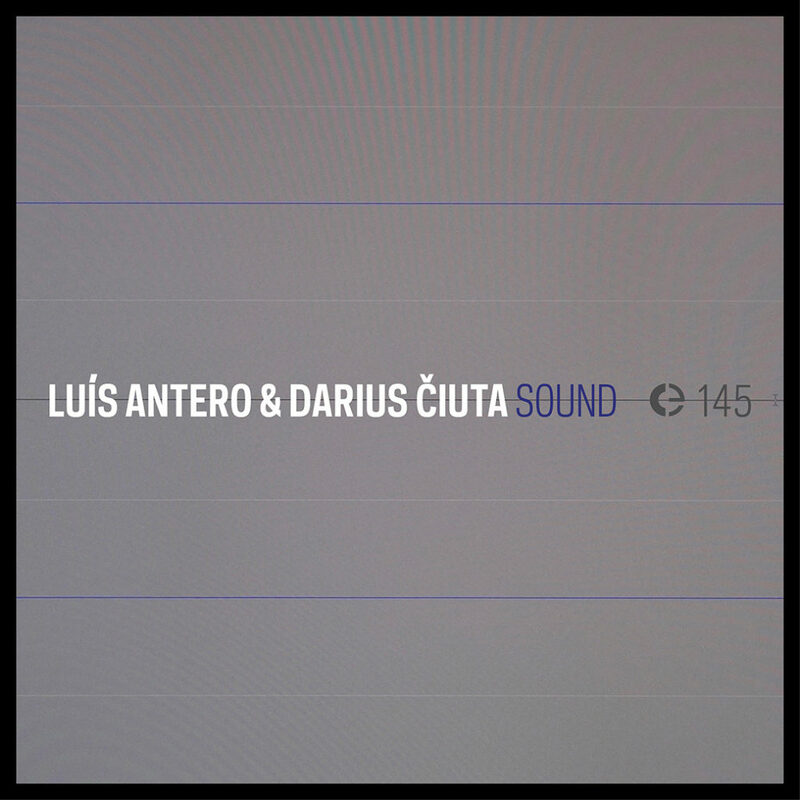 This is the album SOUND by LUÍS ANTERO & DARIUS ČIUTA. 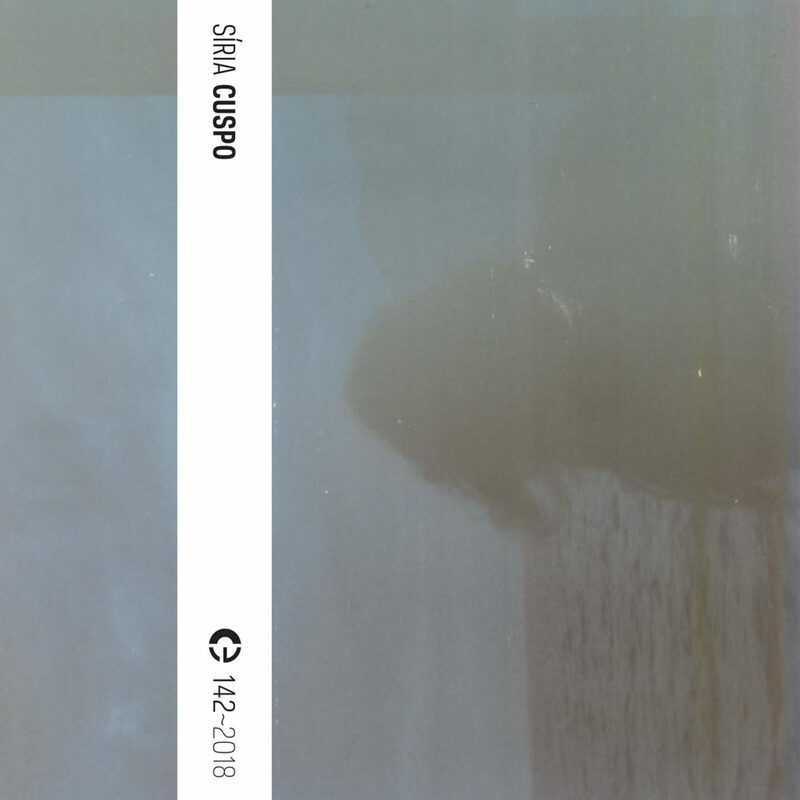 Released on New Year’s Day, this two track album of very quiet minimalist lowercase music is a download that features the two album tracks in 16-bit/44.1kHz CD quality, as well as the album cover in good resolution and a PDF with an additional extension of the album cover, the tracklist, album description and credits. 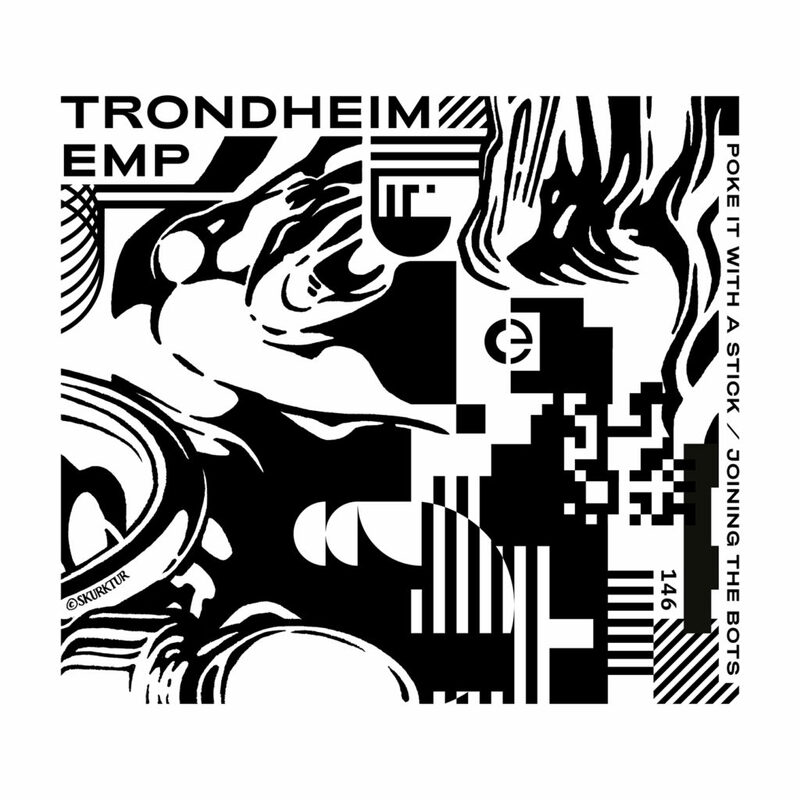 The album is available as a free download but as always you can also donate 1 or more Euros to the artists and label through Bandcamp’s pay what you want option. SOUND is described as a kind of sonic experiment in which the two sound artists were looking to create a new sonic experience produced digitally using unconventional methods and combining sound and the graphic representation of the pieces as being the same. The results are two extended pieces totaling 1 hour 3 minutes that are very subtle, quiet and minimal but also strangely effective to create some really special experiences from this sound in your mind. 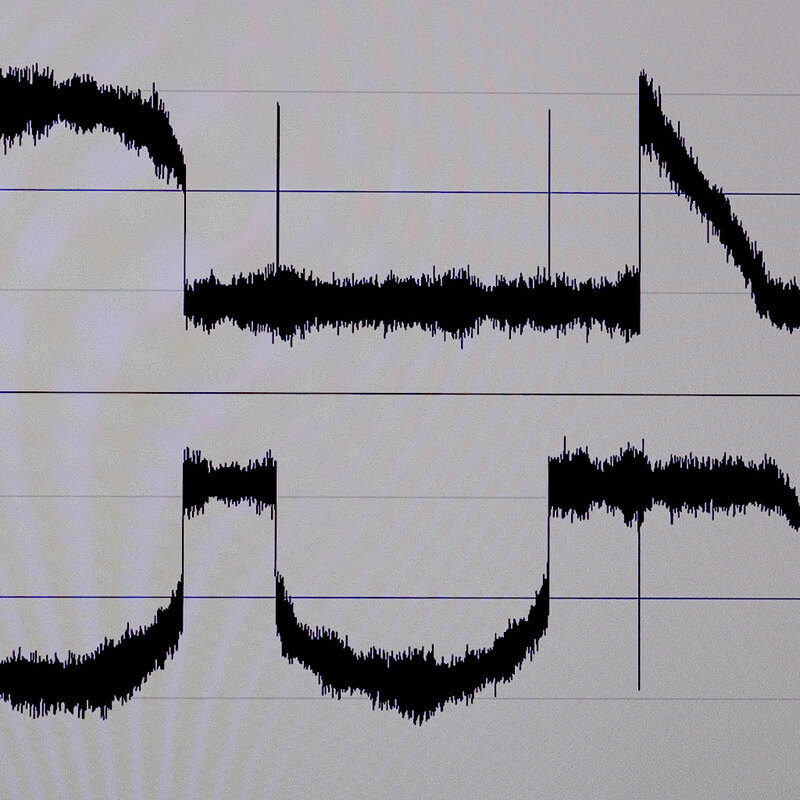 First track G is the most subtle of the two pieces, starting off very soft and with mostly very low frequencies. In fact both pieces feature quite some more sub bass than mid or high frequencies, making this music you can only actually experience on a good sound system or on headphones and it’s something you feel more than hear. On G a cloud of very intensely filtered sound just about in the midrange moves around somewhere around the middle of the sound field while very low frequencies rumble through the ground. It’s a piece that feels quite like listening to various mixed thoughts in your mind from the outside of your head, like listening to another room or environment while the sound also occupies space in the place where you are listening to the album. Very cloudy and subtle moving, the sound both triggers a kind of meditative state as well as enables you to let your thoughts drift but also creates new ones for you. On second track S the music comes a bit more to the foreground and the sub bass frequencies become more audible. S features more manipulations in the low-mid frequency cloud of sound that are again very subtle but noticable on close listening and the sub bass also pulsates nicely at times. The piece also interestingly features one short moment of a little wash of white noise in the left channel, surprising and unexpected when it happens. On S the sound seems to tell a bit more of a complex abstract story or creates fictional fragmented memories in a way. It’s the kind of cross of sound art and experimental music that is very extreme in its subtle sound but also creates unique and intriguing experiences in the mind of the listener. SOUND is an album you discover on listening the two pieces for the first time and afterwards explore in the little details within the sounds that float around in these spaces. 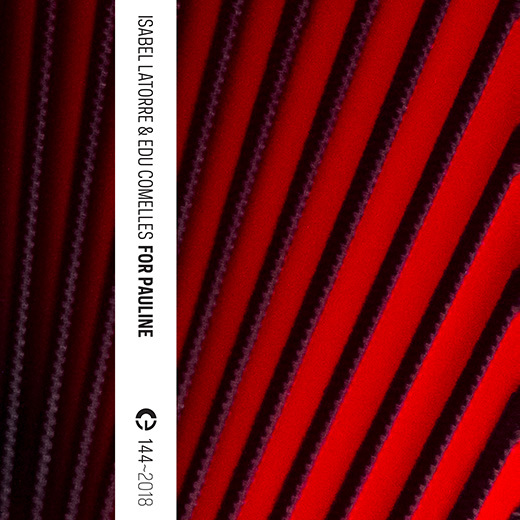 A few months before Pauline Oliveros passed away (November 2016), Edu Comelles commisioned a concert by accordionist Isabelle Latorre meant to be a free musical interpretation of Oliveros’ ‘Deep Listening‘ theories. The concert, premiered at the Ensems Festival early 2017, thus became a very special tribute to the life, work and philosophy of Pauline Oliveros. Latorre’s performance takes up side A of this cassette release on Crónica. It’s a single 22 minute piece that starts with quiet prolonged notes but slowly builds up to an emotional climax and then slowly releases its grip again. Not often you will hear the accordion played this way – unless you are already familiar with Oliveros’ work, of course. For La Isla Plana, the second piece on this cassette, Edu Comelles sampled Isabel’s instrument and arranged the samples into a completely different composition. He connects the recorded samples using a Shruti Box to create a background drone La Isla Plana sounds organic (because of its sound sources) and detached at the same time. Crónica is proud to greet 2019 with its first release for the year, Luís Antero & Darius Čiuta’s “Sound”. This album is the outcome of an exploratory process that searched for a new sonic experience in digital form, created without resorting to conventional sources. It is the outcome of a dual process that expresses the metaphysical nature of sound. As such it is a piece that is two forms: a sonic and a graphic instantiation, containing the same information. Luís Antero is a sound artist that captures and documents the acoustic heritage in Portugal. Darius Čiuta is a sound artist living and working in Kaunas, Lithuania. 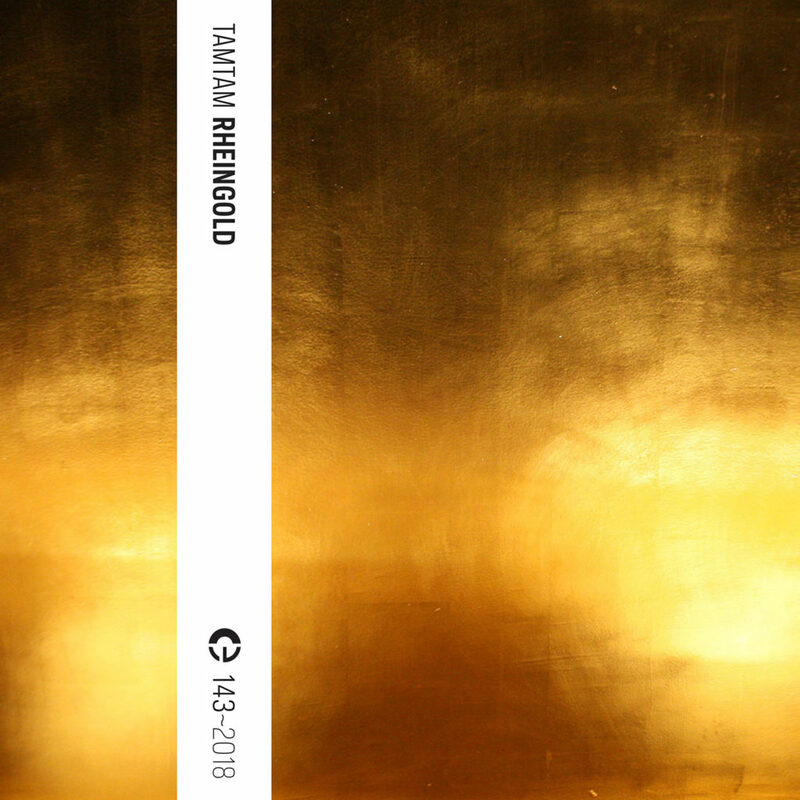 “Sound” is available as a free download from Crónica.